This is on of my favorite salads–very light. 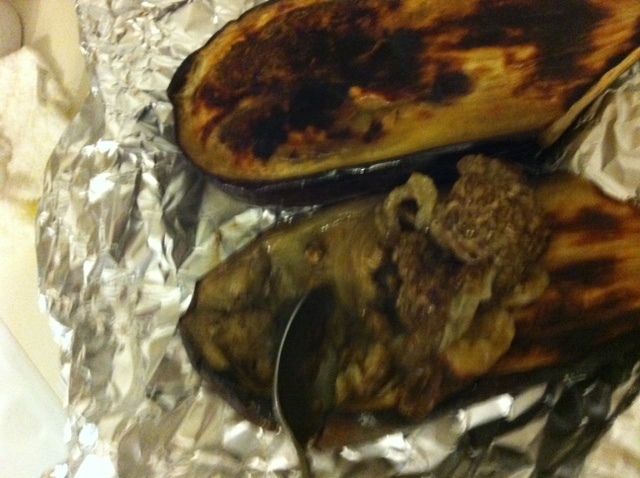 Alright to begin you will need to roast the eggplant. You can do it in either of two ways–each works great. If your stove is a flame top then you can directly roast it on the flame. But to begin you will need to first massage the whole eggplant with the olive oil and then place directly on a medium flame to roast. You can turn it to roast it evenly–stop when it is cooked through. While still hot–be careful you don’t burn your fingers–half lengthwise with a knife and then scoop the inside of the eggplant. Let cool. Another way to roast the eggplant is to massage the whole eggplant and then cover entirely with foil, and then place under a broiler under high until cooked through. Takes about 30 min or so, depending on the size of the eggplant. Do the same, i.e. cut lengthwise and scoop the soft eggplant pulp. Let cool. 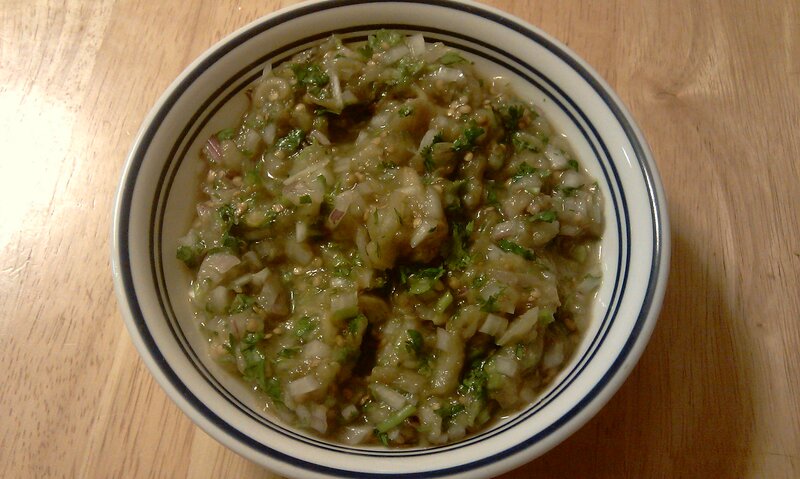 Mince the onions, cilantro, green chilly pepper. 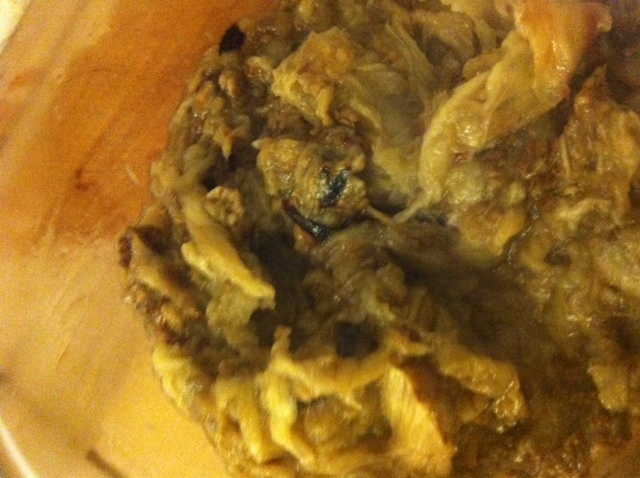 Add in the egg plant pulp, lemon and salt to taste. Mix well and serve chilled. thank you so much, but could we know this Quantity how many portions it makes for how many persons ? 4-5 portions. It is a side so one tablespoon or two for each person is sufficient.